You are here: Home / Twin Tuesday / Am I the only one who does this? 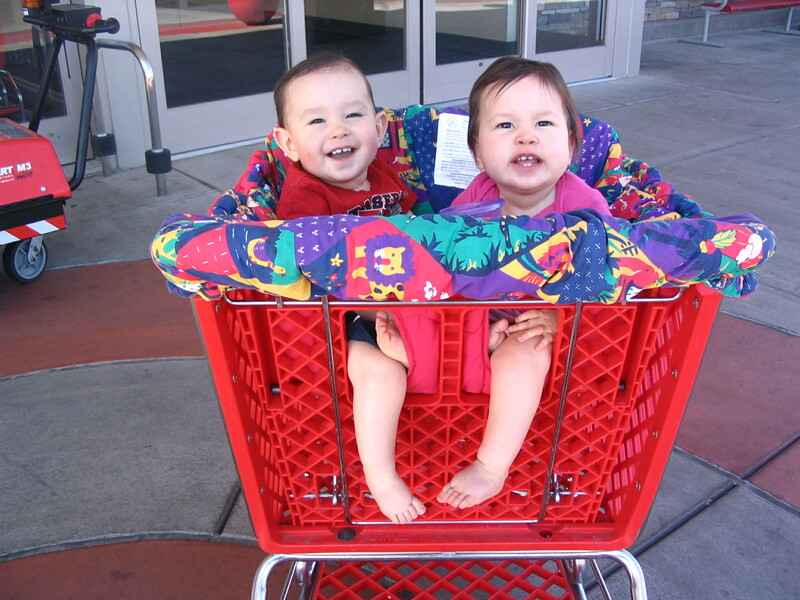 I mean, it’s not like I reinvented the wheel or anything, but suffice to say I was pretty proud of shopping with the twins for the few months when this strategy worked. We like to strap them both to the nose end in much the same way a truck driver will tie a stuffed animal to the grill.